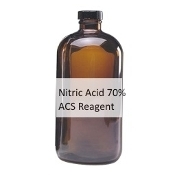 C 3 H 4 O 2 CAS No: 79-10-7 72.06 g/mol 30ml (1 fl oz.) 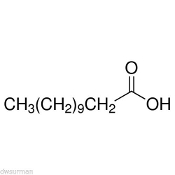 Acrylic Acid is the simplest unsaturated carboxylic acid, consisting of a vinyl group connected directly to a carboxylic acid terminus. This colorless liquid has a characteristic acrid or... Acrylic Polymer 100 Grams Packaged in Poly Bottle Acrylic polymers can also be referred to as acrylates. Acrylates are a group of polymers related to vinyl polymers. Acrylates are made up of acrylate monomers. Lactic Acid 88% USP/NF, 120ml (4 fl oz) CAS: 79-33-4 Molecular Formula: C 3 H 6 O 3 Molar Mass: 90.08 g mol −1 Packaged in Poly Bottle 120ml, 4 fluid ounces CH 3 (CH 2 ) 10 COOH CAS No: 143-07-7 200.32 g/mol 100g (3.5 oz.) Lauric acid or systematically, dodecanoic acid, is a saturated fatty acid with a 12-carbon atom chain, thus falling into the medium chain fatty acids, is a white, powdery solid with a faint odor of bay oil or soap.